Beautiful fantasy hair colors have been a major trend of late, and it is hard not to be wowed by some of the multicolored hair effects that have been going around on Instagram. Mermaid hair, rainbow hair and unicorn hair tend to be the fashion terms for hair with mixtures of different colors used to create stunning looks that seem to come straight out of fantasy artwork, and there are all kinds of experimentations on this theme inspired by color palettes from other themes too – galaxy hair, fire hair, and so on. 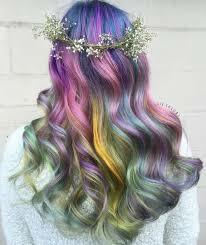 If you want one of these beautiful looks, read on to find out how multicolored hair is achieved. Most of the time, these looks are created using temporary dyes that are made using natural pigments (similar to those used in food coloring, often derived from vegetables), which are applied to the hair in a mixture with a rich conditioner. 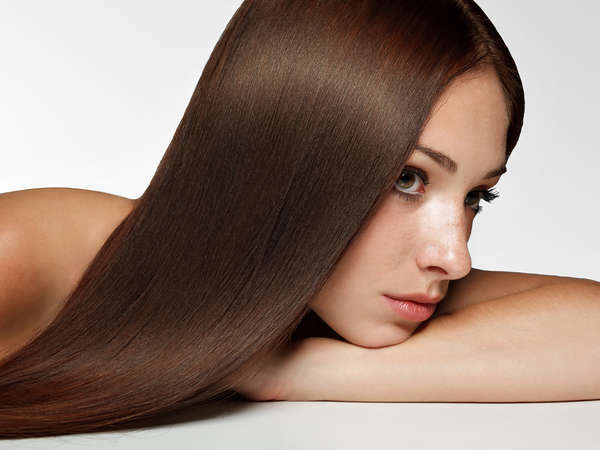 These dyes do not damage the hair at all, and so can be left to develop for as long as needed. However, the process of attaining unnatural hair colors can lead to damage because these dyes only show up at their full vibrancy if your hair is light to begin with. 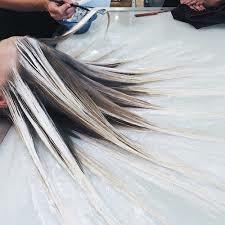 Unless you have very blond hair, this will mean one of more bleaching sessions, which it is always best to have done in a salon even if you want to try doing the mermaid hair dye process yourself afterwards. When your hair is light enough to begin, you will need dyes in the selection of colors you want to use. Alternatively, book in with a stylist and let them take care of this – although you will still need to show or tell them the kind of colors you want used. 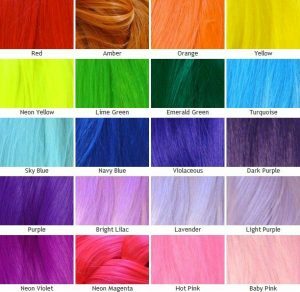 Blues, greens, pinks and purples are all popular in various combinations for mermaid hair. If you are dying your hair all one color, it is easy to apply it – you simply smooth it on being sure to cover your hair thoroughly. Vaseline around the hairline can help avoid staining your skin, and gloves are a must. For the proper mermaid hair look, however, it is more complicated as you will want strands of different colors throughout your hair. These must be done one at a time with the hair separated once it has dye on it because these dyes tend to be runny and mix together easily. While it is possible to do this yourself (ideally with a little help from a friend), it is far better to get a stylist to do it. If you’re ready to rock the mermaid hair look, book an appointment today at the best hair stylists in New York City!